Ok, gotta be honest – I’m not really convinced by the idea of netlabels. I think most of them chooses quantity over quality or releases music made by family and friends, not really paying attention if these artists have talent or not. Of course there are exceptions, luckily for us – one of them is Kalpamantra, which just had its second birthday. Kalpamantra latest release is absolutely enormous (72 tracks!) 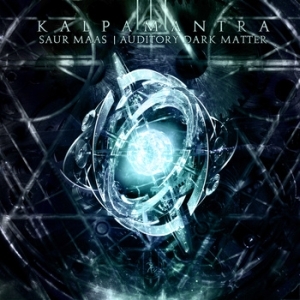 compilation, ‘Saur Maas‘, and it contains works of really known and respected dark ambient artists. Here’s an interview with the founder and head of Kalpamantra, Steven Williams. Hi Steven. Two years of Kalpamantra activity have just passed. Are you satisfied of what you’re achieved during that time? Or do you feel that you could do something more or better? I can certainly state that ‘satisfied’ is an understatement, I cannot begin to express how surprised I am at how well-received Kalpamantra has been in such a short time. Most of the record labels I aspired to when I first starting working on this project had been around long enough to gain a legacy, so to speak. While I have caught up quite fast, I also prefer to believe that I am not quite at their level yet. In any case, I do feel that it could be improved upon, but I am happy with things the way they are. I don’t really want to attain the perfection I’m chasing, because I would no longer have the challenge. When did you found out that dark ambient is your musical cup of tea? Is there any particular album that changed your life in that matter? The one you listened and said to yourself: “Yes, this is MY music”? It would be far too difficult for me to pin-point exactly which album or artist made me want to pursue my interests in taking my work in this direction. I think it would be far fairer to say that there are numerous sources for my change of direction. Shortly before I began the initial plans of the label I was working in a completely different genre, one I grew increasingly disinterested in due to its collective close-mindedness and that it didn’t really spark my interest anyway. Even now, since I’ve expanded and done everything up to this point I couldn’t possibly credit one specific source of inspiration. Every artist I work with, or listen to differs somehow, and I prefer it that way because everybody brings something different to the table. Tell me about the origin of Kalpamantra. How did all that started? What was the impulse, which pushed you to start your net label, the spark that started the fire? When the first ideas of Kalpamantra came about, I was working on a black metal promotional agency in a slightly different way. I wasn’t particularly “into” the scene I was involved in and I found myself increasingly interested in the dark ambient field. I had always been somewhat interested in pursuing my interests but it wasn’t until later the same year I felt obliged to switch over. Explaining the choice of title, ‘Kalpa’ could in this instance have two meanings. The first being its Sanskrit derivation (which means ‘Aeon’) or its Vedantic derivation (which means ‘Ritual’) joining the term ‘Mantra’, which is used as a word to describe a term or a specific type of sound to aid one’s meditative or spiritual state. Bringing the words together could mean ‘ritual music’, which is fine with me seeing as, while the music I promote might not be used for meditations, I have received a large amount of feedback claiming that these sounds have helped the listeners to relax or feel better. So it makes sense! When I first started Kalpamantra I wasn’t very familiar with the way things were, but I maintained my interest and with the help of the very labels I aspired to be alike (Malignant, Cyclic Law, etc.) things led to where they are now. The debut compilation (Emissions) was something I wanted to use to ‘test the waters’, if you will. Unfortunately, at the time I had no personal domain nor a steady location to allow downloads, so I had to use MediaFire. The initial album didn’t go as smoothly as I wanted (as the size of the compilation caused problems with the downloads) and I was disappointed at first. Fortunately though, the album was extremely well received and has caused equally positive feedback through its successors. 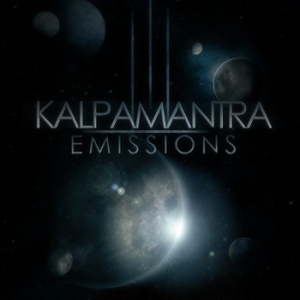 It was at that point I decided to expand Kalpamantra from a promotional outlet into a web-based record label. What was the reason that you founded a NET label instead of a ‘regular’ label – is it because of financial matters (as running the net label is does not require any funds)? Or perhaps you believe that music should be available for free, for everyone? During my time on my project prior to Kalpamantra I had released three physical compilations and I noticed that the sales weren’t as impressive as the level of downloading that was going on. Even now it seems to be far more important for people to locate music online than buying the actual CDs. To an extent its understandable, as so many countries are entering recessions, but I suppose one reason was due to the fact I would have been disheartened by seeing something with so much work put into it being shunned in its physical form by a group of people who wanted to spread it digitally instead. Especially back then, during the first few compilations, as I wasn’t sure how the future was going to pan out. I suppose another reason is because I want people to know that my work is fuelled by my devotion to people’s creations, rather than for a personal gain. Do you plan to release something on CD in the future? At some point in time! I had originally planned one in Saur Maas’ place, but the plans just sort of dissolved. I’ve kept the possibility in my mind since then, and it’s definitely a strong possibility but given the fact the last compilation burst into such a big mass I think if I started working on one any time soon I’d probably keep it quiet until it was finished. I know that the Kalpamantra compilations have particular concepts – I wonder if you give the artists who agree to participate any directions, something like: “Hey man, this compilation is about this or that, it would be nice if you’d take it into consideration when you’ll be choosing the track for me”. Or they just send the tracks and you try to fit them into the concept later? 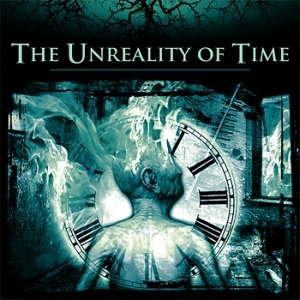 Almost every compilation is given a specific concept or ‘back story’, and its usually represented in the artwork, arrangement, or layout. I’ll even explain the concept of Saur Maas, seeing as I’ve been asked privately a few times. The title literally translates to ‘Solar Months’, and each chapter is named after one of each Solar Month. The numbers beside the chapter title are celestial co-ordinates of the Gregorian zodiac equivalent to the Solar Month they represent. Anyway, I don’t really ask the performers to alter their work to accommodate my specifics because I feel it would interfere somehow with their usual way of creating. The performers tracks are meant to be specific to them, not me, because it’s how they should be seen. I have had moments where I’ve listened to a specifically altered song on an album and then heard what they usually sound like and been either disappointed or confused. I prefer that the artists just be themselves, and maintain their artistic freedom. Ok, tell me Steven, but honestly – do you really like all the tracks you released on your compilations? Don’t you have the thoughts sometimes that this or that track is not that good as the others, but what the hell, there is still some space left, maybe people will like it anyway? Some people have found it difficult to digest, but I genuinely do enjoy all the varying submissions I’ve received over the two years. I prefer to remain open-minded in my work, and I’ve recently used the latest compilation’s wide spectrum to emphasize that. I’m not saying Kalpamantra will shift its ideals, but broaden them instead. Unlike most of the net labels we can find on your compilations rather known artists who release their stuff for respected labels. How come you can convict the guys who in other circumstances probably would have never agree to participate in free online compilation? I can’t really answer this, simply because I don’t actually know! My first guess would be that they’ve caught onto the other names I’ve collaborated with, but this is one part of my job that keeps me surprised. I have worked with some truly wonderful artists that I never (!) thought would agree, but there are still some specific names who are still on my list! Alongside these artists mentioned above, there are plenty of totally anonymous projects – sometimes when I check them on Discogs, their only ‘official’ release is the track contributed on your compilation. How do you find them? Or perhaps they are finding you? For the most part, they remain virtually unheard of side-projects (for now), but some of the earlier unknown projects I found through MySpace. Others find me, which is always flattering! I guess dark ambient is not the only musical genre you’re interested in. What kind of feelings and emotions are you looking in music generally? Actually, I’m not one to associate feelings and emotions with music unless it’s really quite profound. I do notice musicians on their concepts usually, and not having any real musical expertise of my own helps me to better appreciate the time and effort that these folk put into their work as it is. Since it’s already been established that I’m not limited in my musical palette, I can suggest that different genres require different outlooks, so to specify to a specific genre it becomes a little more difficult. Is there any particular ambient or dark ambient sub-genre (ritual, cosmic, glacial, industrial etc) especially important or close to your likings? Personally, I prefer not to use specific tags for music (mostly because I can’t! ), but I do find a great amount of personal interest in space-influenced ambient and, while I gained a fair amount of notoriety on my black metal project for my disdain for ‘depressive black metal’ I actually feel its concept and feelings can be much better summarized with a laptop/keyboard, rather than make-up, leather pants and an exorbitant pseudonym. I’d like you to pick 5 best albums you’ve heard so far in 2011. Tábor Radosti ‘Agartta’, Rasalhague ‘Rage Inside The Window’, Phelios ‘Passage II’, Eleusyn ‘Carbon’ and Artifact303 ‘Back to Space’. Ok, so the ultimate online compilation is already behind you – what is the next step for Kalpamantra? What are the main goals for Kalpamantra today? At the risk of being completely unhelpful, I have no idea! I prefer to take things in my stride rather than plan things out, especially after the aforementioned CD release that never happened… I’m going to leave it a couple of months before I start work on a new compilation, but I can’t provide any further details other than to confirm it, and to let you know it’ll be similarly broadening, like its predecessor. Thank you for the interview Steven. Last words are yours. I’d just like to extend my gratitude to everyone involved the new album’s progress, and to everyone who has either supported my work through downloading it and/or taking the time to tell me how much they’ve been enjoying it. I always thought thanks segments were restricted to commercial bands, but I have been shown I have a lot to be grateful for. My thanks to you as well, Przemek as I’m not usually one for interviews, but I feel obliged to distinguish your interest by indulging yourself and your readers in what I at least hope will be an insightful look into my work.